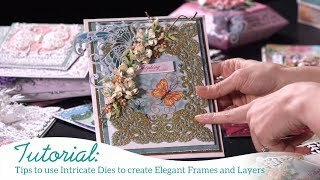 Create stunning frames for card fronts of all sizes with the Frame a Card Leafy Borders Die! Mix and match the various leafy panels to assemble the perfect size frame for your card front…from square 6” x 6” to 4” x 4”, to the traditional 4.25” x 5.5” and 5” x 7” sizes! 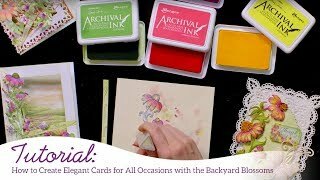 The stunning leafy details of these beautiful borders are a delightful way to bring out the focal point on a card front, and also make wonderful bases on which to add your favorite dimensional flowers! The elegant partial medallion die cut adds a hint of flair as a decorative corner, and lends itself beautifully to being used as a delicate background embellishment for dimensional floral clusters!